AMHC is pleased to welcome Christy Daggett, MPP, as AMHC’s new Chief Financial and Administrative Officer. As the Chief Financial and Administrative Officer, she is responsible for providing leadership for the financial and administrative systems of the organization. 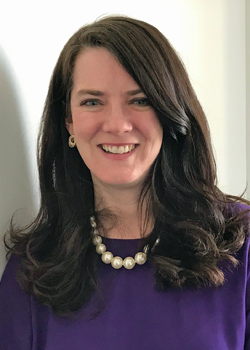 Prior to joining AMHC, she has worked in public service in Maine for close to a decade, holding program-oriented and leadership roles at MCD Public Health, the Maine Center for Economic Policy, and the Aroostook County Action Program. She has served as Board President of Susan G. Komen for the Cure, Maine Affiliate, President of the Aroostook Training and Education Coalition (ATEC), and Board Member of the Maine Children’s Alliance. A native of Presque Isle, Christy earned her bachelor’s degree from the University of Maine and her master’s in Public Policy and Management from the Edmund S. Muskie School of Public Service at the University of Southern Maine. She has testified as an expert on rural public policy issues before the Maine Legislature, and her pieces have been published in many statewide and national forums, including health policy research on Medicaid expansion, health care price transparency, cancer screening access for rural Mainers, and the correlation between school-based health clinics and better graduation and attendance outcomes for K-12 students. The goal of National Eating Disorders Awareness Week (#NEDAwareness) is to shine the spotlight on eating disorders by educating the public, spreading a message of hope, and putting life-saving resources into the hands of those in need. Eating disorders have the highest mortality rate of any mental illness and will affect 30 million Americans at some point in their lives, but myths and misinformation still keep people from getting the help they need. Eating disorders are serious conditions that can have a profound mental and physical impact, including death. This should not discourage anyone struggling—recovery is real, and treatment is available. Statistics on mortality and eating disorders underscore the impact of these disorders and the importance of treatment. The NEDA Helpline is available Monday-Thursday from 9AM to 9PM ET, and Friday from 9AM to 5PM ET. Contact the Helpline for support, resources and treatment options for yourself or a loved one. You may reach the NEDA helpline by calling (800) 931-2237. Helpline volunteers are trained to help you find the information and support you are looking for. Reach out today! 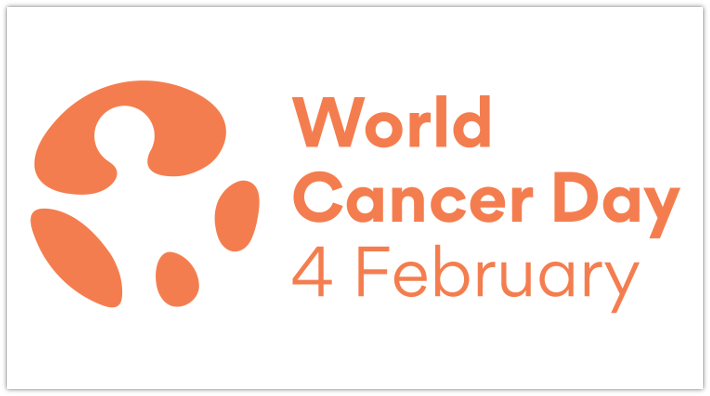 Monday, February 4th is World Cancer Day, when organizations and people around the world unite to raise awareness about cancer and work to make it a global health priority. An estimated 9.5 million people worldwide were expected to die from cancer in 2018 – about 26,000 cancer deaths a day – and that number is predicted to grow. Make healthy lifestyle choices that include avoiding using tobacco products, getting plenty of physical activity, eating a healthy diet, limiting alcohol, and staying safe in the sun. Know about the signs and symptoms of cancer and early detection guidelines because finding cancer early often makes it easier to treat. Share stories about their own cancer experiences, communicate with decision-makers and join support groups to help make positive change for all people affected by cancer. Every year, approximately 1.5 million high school students nationwide experience physical abuse from a dating partner. It is also known that 3 in 4 parents have never talked to their children about domestic violence. 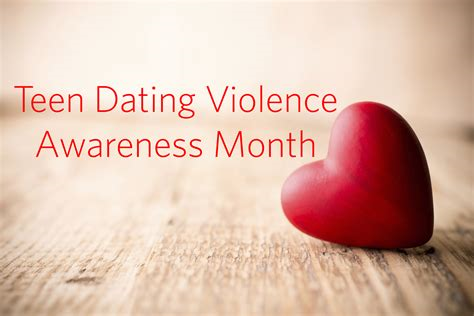 Teen dating violence (TDV) is defined as a pattern of abuse or threat of abuse against teenaged dating partners, occurring in different forms, including verbal, emotional, physical, sexual and digital. TDV occurs across diverse groups and cultures. The National Dating Abuse Helpline provides 24-hour national web-based and telephone resources to help teens experiencing dating abuse. Young people (as well as concerned friends, parents, teachers, clergy, law enforcement, and service providers) anywhere in the country can call toll free, 1-866-331-9474, text “loveis” to 22522, or log on to the interactive website, loveisrespect.org, and receive immediate, confidential assistance. National Wear Red Day® is Friday, February 1, 2019! — Wear red to raise awareness about cardiovascular disease and save lives. February is American Heart Month, an ideal time to remind everyone to focus on your heart health. Cardiovascular disease, including heart disease and stroke, remains the leading global cause of death with more than 17.9 million deaths each year.